It seems that every once in a while I like to make a change or two to the site. Originally it was all just html, then I got some little wiki that was a little more fun to manage but that got hacked and we lost all the info (Oops), then there was some great portal software but it was really way to much work to maintain for such a small site. I went back to a simple html site for a long time and just did the bare minimum to supply information to the core team. I thought it was time that the site was updated like all the other domains I have and decided to throw this wordpress site together. There is a lot of functionality available out there so if you would like to have something implemented that you have used on another site, please let me know. I have no interest in spending a penny on anything so it will have to be free, unless of course I start selling advertising and there is a flood of interested folks clammering to use that particular functionality. So please go through the site ( http://www.snowmopalooza.com ) which will point to /blog at the moment, check out all the pages, read all the articles, look at all the pictures, check out the MAP and the map submission page and try sending me something to put on the map (Consider it a map of memories, whats your favorite?). There are lots of links to check out on the events page. There is a lot of information to post on the Events pages so bear with me as that all gets slowly populated over the next several days. I would LOVE to be able to put a trip for the 2017/18 season on the calendar for Snowmopalooza, but we will have to see how everyone’s prospects are doing. You may or may not be aware that on the 15th of Feb, Ski-doo had their 2018 Launch party to show off the new products to the world. Their slogan is “What matters is what’s next”… I find it very appropriate, and you can take a look at the teaser video below. 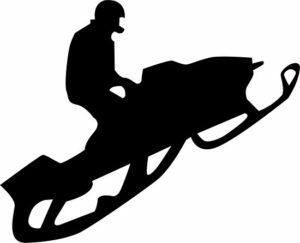 Also I suggest going and checking out the site for more, specifications and sled details at Ski-Doo.